Are you ready to finally see inside our new kitchen? In January, Stefan and I finally closed on our new home at Vela (modern town homes on the south coast of Grand Cayman). You'll have seen from my endless furniture delivery-related posts that it's been a labour of "love"...in the very ironic meaning of course! Buying pre-construction isn't easy and we tried to make some simple but stylish tweaks to make this home our own. 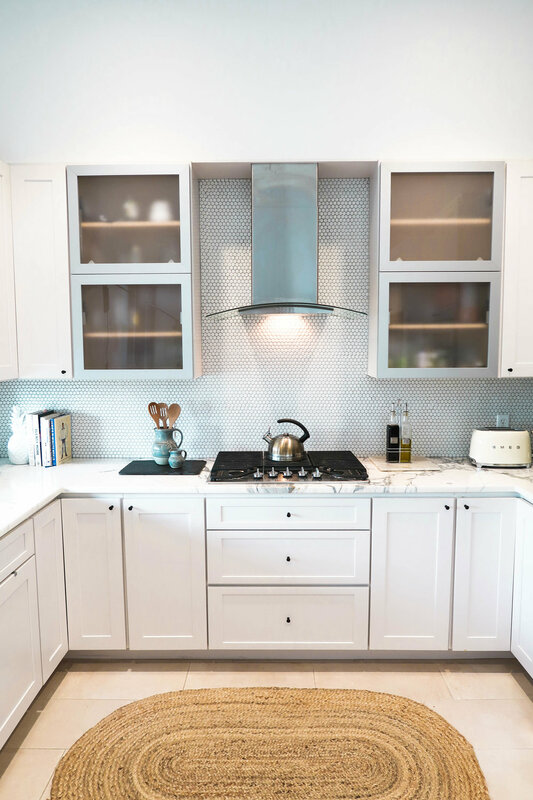 I'm so pleased to finally share how our modern, simple, island kitchen has turned out! Before we get to that, and to really show you our true journey, here is what our kitchen looked like for our first walk-through, very much still in the construction phase back in October. The project was quite delayed (being very polite here) and so we didn't actually get the keys until January. That being said, we certainly haven't been quick to furnish this home and that has been somewhat deliberate. For our last home, a huge Project Reno (and yes there is a theme here!) we did the classic must-go-to-Miami-and-buy-an-entire-plane-load-in-one weekend shopping trip and it was all a bit too much. Too much of a time crunch resulting in too limited a palette. On this project we've taken our time to curate some great items from a wider range of brands inluding CB2, Wayfair, Article, West Elm, Etsy, Oliver Bonas, Restoration Hardware and of course good old trusty Ikea . The goal is to have our home a bit less matchy-matchy and a bit more grown up. To give some real value to you all, I love to share where items are sourced. From painful experience, I really know how tricky it is trying to furnish a stylish home on a small island without spending a fortune! It can feel near impossible. These came as part of our AL Thompson's package and we are really pleased with how they've turned out. Special shout out to John Ramos at ALT's for being so patient and such a helpful superstar - purely because he cares! We added small 3/4" matte black knobs which were tricky to find but eventually sourced from Forge Hardware, Etsy for only US$3.99 each! 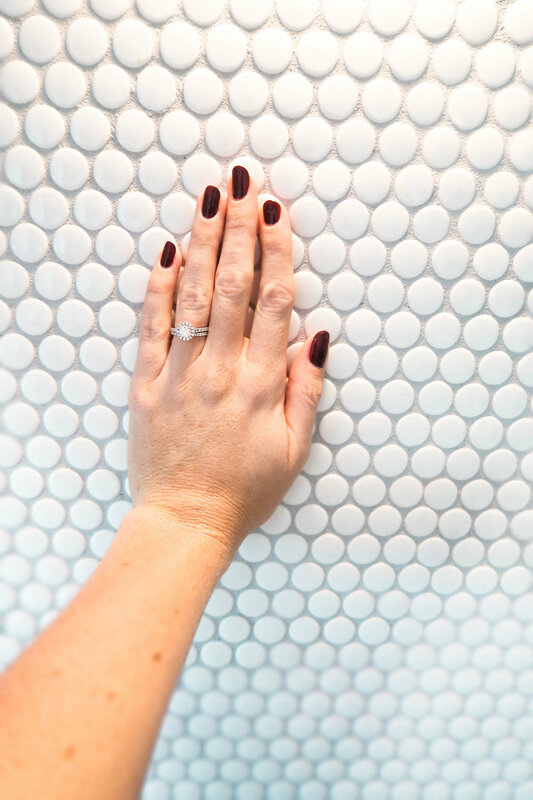 as probably my most favourite part of the house so far, these great penny round white tiles are from Wayfair and at such a bargain US$4.25/sq ft, we're really pleased with them! As much as I love supporting Rugs Oriental (must-see collections), this super low maintenance rug is from EsaleRugs.com at a bargain US$49 that I just couldn't match on island! 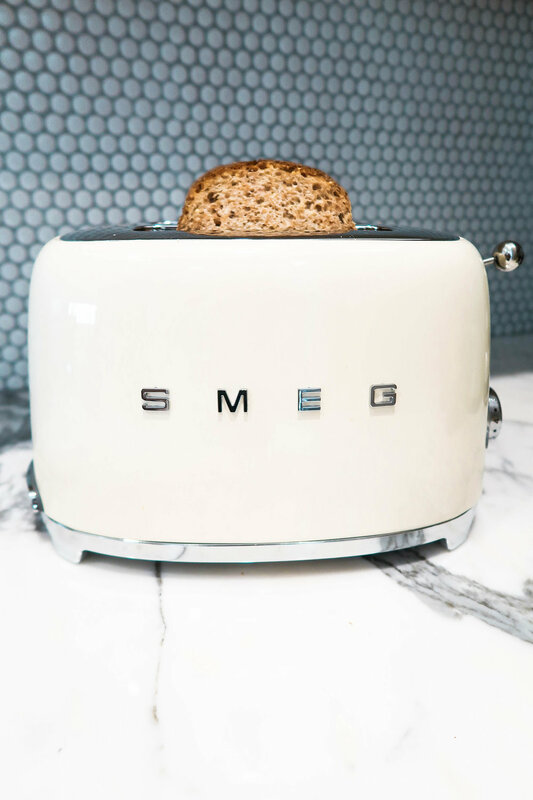 Artisan style white crockery and gorgeous Smeg toaster came from West Elm and our indigo napkins are CB2. 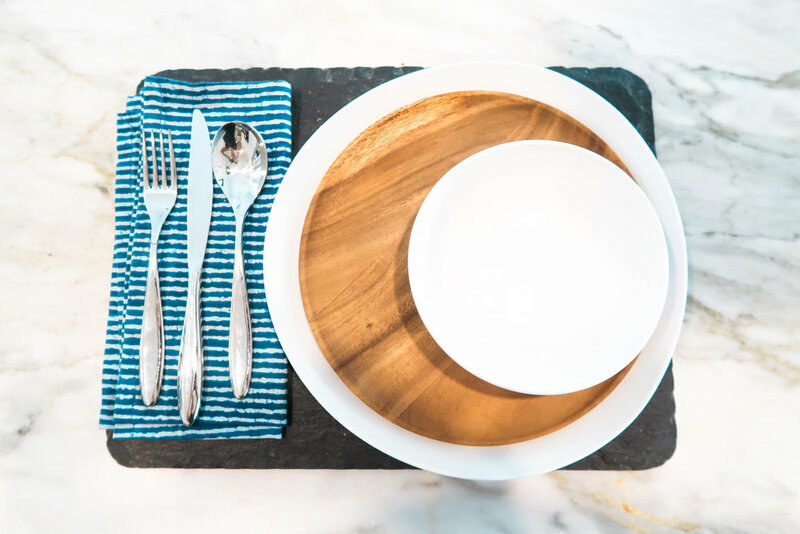 Our acacia plates and cutlery are Gawk & Leer wedding gifts that we love so much! What you've not seen yet is our open, custom shelves and custom bar area that are still very much "under construction". We hope to have the shelves made and installed in the next month* as well as some mirrored panels installed to jazz up the bar station! I hope you've enjoyed seeing more that just the styled pockets of my home. Please get in touch if you're doing a home renovation or kitting out a new space - I'd love to hear from you! 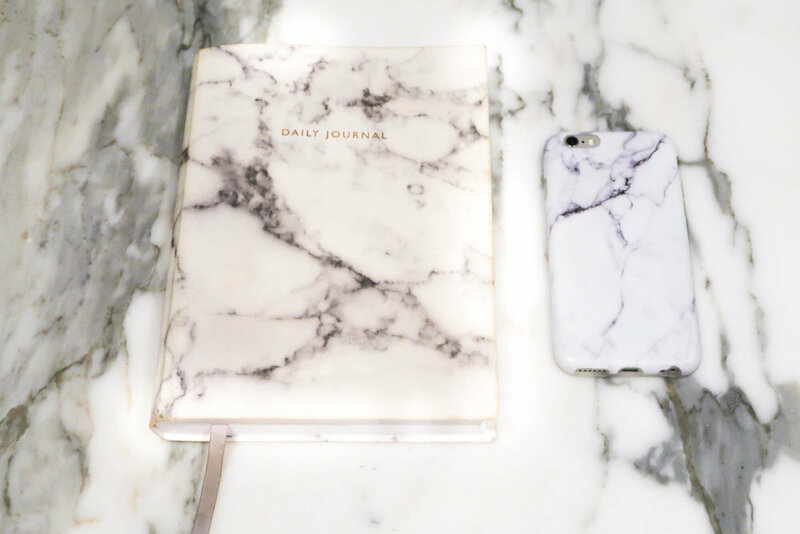 Stay tuned for more home updates, design dreaming and travel wanderlusting! Thank you for being a part of Lustic Life!